RobotCache, a blockchain-based marketplace for videogames, developed by gaming veterans, including Brian Fargo, has showed another example that this multi-billion industry is getting increasingly serious regarding the blockchain technology. The company announced that it has now 22 publishers with 700 games signed for its platform, which is estimated to be launched in 2019. Among publishers are well known names in the gaming industry such as Paradox Interactive, THQ Nordic, Devolver Digital, Bigben Interactive, and Headup among others, reported Venture Beat. 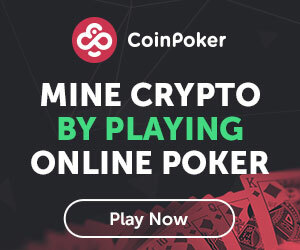 “RobotCache is built on the blockchain for two reasons: to ensure the security of the games being bought and sold and to allow Cachers to mine IRON [a native token of the marketplace] game tokens when they are not using their machine,” according to the website of the marketplace. What’s new about the marketplace is that it will allow its users to resell their games, while publishers will get their share, too. “Some users want to monetize their digital library. They can play a game for a few months and then sell it back. 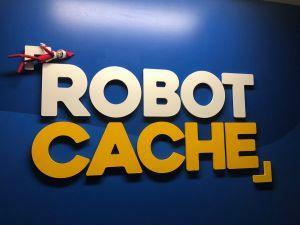 Then they can use it to buy more games,” RobotCache CEO Lee Jacobson told Venture Beat. While users will get back 25% of the original price (in tokens), publishers will be awarded 70% (compared with 95% after the first purchase) and RobotCache will take 5%. As reported by Cryptonews.com, video games are the reason to think that blockchains can gain mainstream understanding, acceptance and adoption in the months to come. By integrating some aspect of blockchain tech into their dynamics or game world, they're familiarising the public with how distributed ledgers and crypto in general works. And in turn, this familiarity will create an increasing readiness to accept the application of blockchains to other areas beyond video games. This CEO Manages 100M Users: "Crypto Will Go Mainstream in 2019"